All players have their own farm with four nice animals. They feed those cuties. Animals which are fed well fill their stomachs with tasty food, grow and become longer and longer, even reaching unnatural lengths. The longer your animal, the better a farmer you are. The owner of the longest animal receives bonus points. Animals which aren\'t fed even one time lose their weight, take offense, and leave their bad master. 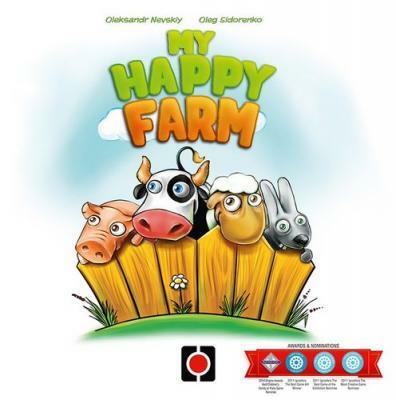 Moreover, they will take some victory points from the bad master to punish him, so players have to be good and careful farmers and feed their animals well to create Their Own Happy Farm.